A phial of 'Madonna's milk' is just one of the bizarre medieval treasures on show at the new Medieval Gallery at the British Museum. Thieving monks, naughty paintings of Jesus and relics claiming to contain breast milk from the Virgin Mary: the British Museum’s new medieval gallery paints a weird and wonderful picture of the Middle Ages. 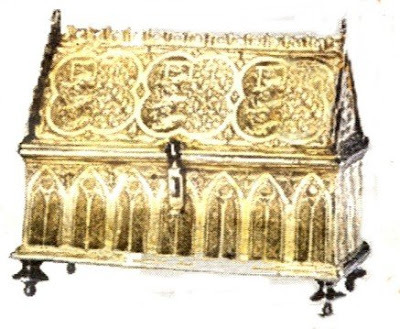 This casket was given to Isabella of France when she married Edward II at the age of 12. She later deposed her husband (who was more interested in men), had him executed, and ruled the country with her lover. 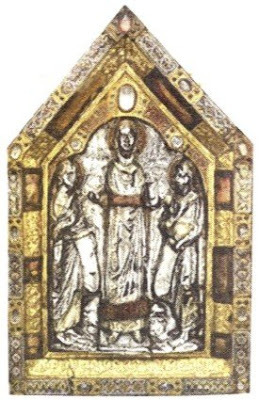 Medieval folk loved their relics – there were 13 of “Jesus’s foreskins” scattered around Europe at one point, which were believed to have healing powers. This reliquary was claimed to contain milk of the Virgin Mary. Another relic in the collection was supposed to have been a thorn from the crown of thorns used at Jesus’s crucifixion. These 12th-century tiles show Jesus getting revenge on a bully, being slapped by a teacher for being cheeky and getting scolded by his mother. When he’s being naughty, his halo disappears. Fake charters were made by monks to say they were entitled to land or revenue. 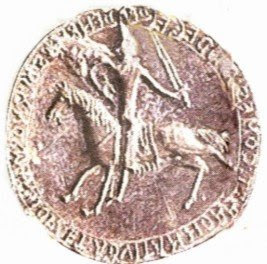 This die was used to seal the charters. You can tell it’s a fake because there’s a spelling mistake and it’s made from lead rather than silver or gold. 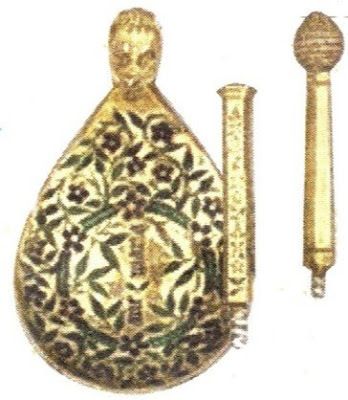 This 15th-century silver-and-enamel spoon could be disassembled to fit in a pocket, and would have come out at a feast as a bit of a party trick. Ceramic pottery and wooden utensils would have been common at this time, but metal cutlery was a luxury: even rich diners would have brought their own to banquets. These chessmen are made from walrus ivory. For some reason – no one knows why – the supply of elephant ivory dried up between the ninth and 13th centuries. Chess evolved from an Indian game which was later adopted by the Islamic world and finally reached Europe at the end of the 10th century, when queens and bishops were introduced to the board. 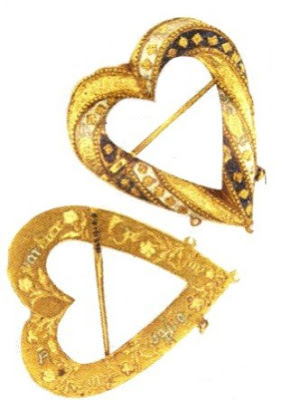 Heart-shaped jewellery (Gold heart brooch, early to mid 15th century, Nottinghamshire) The simplified heart shape as a symbol for love was a 14th-century convention. These 600-year-old brooches wouldn’t look out of place in a jewellery store today. Proof once again from one of my favourite periods in history, that Human Nature has never really changed, just the technologies. Wow, just doesn't get any better than that. The only really old things our museum has here are rocks! but i don't think jesus at that age was really recognised as someone who you'd keep the foreskin of, ( just in case he goes platinum lol ). ...Mary's milk...who was the lucky apostle that got to milk Madonna? Foreskin's of the Christ?! Now, who kept these all these years...and how did they stay preserved?! I will take this time to educate Sir Dayvd. A Jewish boy was circumcised on the 8th day after birth, not during his teen becomes man celebration. ...Monky business made AIG's financial shell game look like the first year in business school. The Church was selling junk bonds and toxic assets (dispensations, pieces of the cross, Madonna's milk, etc.) long before there was a Wall Street! I have to give it up for the Prankster Jesus Tiles. There's something I can believe in. After all, he like us, was fully human...and he like us was a child of the Divine. The craftsmanship and engineering that went into the silver and enamel spoon is amazing...and the heart shaped jewelry truly could be worn in style today. Yes, the man is the same...greedy, arrogant, brilliant, expressive. "When a Native American child was born the Grandmother would make an amulet in the shape of a turtle. She would form it with great care and bead it ornately, inside this amulet would go the child's umbilical cord, in fulfilling this ritual the child would be sure of a long life. That's not all, it would also enable the cord, which gave sustenance to the child from it's biological mother to join the child with the new life giving force, the Mother Earth, which to the Native American people is known as Turtle Island. This amulet would be the start of the child's Medicine bag and would stay with them for the rest of their life. This could be the reason why the Native American people were so close to the Earth and cared for it so well. Turtle also stands for protection. She retreats into her sturdy shell at any sign of danger, and only emerges when it is safe. When we respect her power she will offer us that same shelter." So who knows, maybe there was such a ritual for young Jewish boys at that time period. People who claim that the world is worse than it has ever been need to study history. We come from a much more violent, thieving, murdering past. Oh, and being gay wasn't invented in the last ten years. It's not a sign of our moral decline. *SIGH* Of course theft, murder, taking advantage of others still pisses me off.